First Do No Harm. So Why Are We Harming Ourselves? I’ve interviewed many doctors on my podcast, The Doctor’s Life. They share their stories of how they came to medicine and how they developed into the physicians that they are today. There are three common themes in these “origin stories.” The first is that many of the doctors were mentored by a physician who inspired them to pursue medicine. The second is that they were “called” to medicine. And the third is that they gain deep satisfaction from service to others. Physicians are givers. We express our deep desire to improve the health of others and to advance the science and art of medicine by caring for individual patients, doing research, public health efforts, administration, inventions, and running businesses that promote the health and wellbeing of others. The study and practice of medicine and research calls us so strongly that we spend years of our lives and in many cases, spend tens, even hundreds of thousands of dollars to pursue the dream of being part of this great profession. Paradoxically, the same profession that we love is taking its toll on many, if not most, of us in the form of physician burnout. Not a single hand went up. The response was knowing laughter, because we know that our profession is not known for promoting health for ourselves. Frankly, it’s the opposite. Physician burnout is rampant. So many of us are frustrated with our work and questioning if medicine was the right profession after all. We don’t encourage our kids to go into the profession we love. Frankly, it’s heartbreaking to see the toll that physician burnout has taken on our profession. Our work is causing us harm, and by not addressing it on the individual, organizational, and cultural levels, we are harming ourselves. And that is as unconscionable as harming a patient. It is well known now that between 30 to over-50 percent of medical students, residents, and doctors in practice (depending on the specialty) are suffering from burnout in some form. As you are reading this, maybe you are that doctor. Doctors suffering from burnout are tired, cynical, disconnected and lonely. They question their own ability to practice medicine. They are suffering from cardiovascular disease, overweight, stress, addiction, and failed relationships. They can be hard to work with. They are cutting back their hours and leaving practice altogether. It is also well known that physician burnout has a negative effect not only on the one who suffers, but adversely affects our relationships with our patients, their adherence to our instructions, their recovery from their illnesses, and the safety and quality of their care. We can bridge the gap from physician burnout to physician wellness by caring for ourselves and for each other. If “first, do no harm” is our ethos, then there is an ethical obligation on our field to address physician burnout as a profession. It’s well beyond just a “nice thing to do” at this point. Taking care of ourselves and our colleagues is going to have to simply become part of the practice of medicine, as much as keeping up with the standard of care for our patients. As physicians, we need to care for ourselves, support each other, and create a working environment that supports physician wellness not only because our society needs us, but because as physicians, our work is part of us. If our work is not fulfilling and we are not supported in doing our work, then as physicians we suffer in body, mind, and spirit. Physician burnout affects us at our core, because our practice of medicine is an expression of ourselves. Being a physician is hard work. Physician wellness and well-being doesn’t mean that we will be happy all the time. It means that we have the capacity to be able to give to others from the energy that comes from taking care of ourselves. What does physician wellness and physician well-being look like? It looks like being energized and feeling purpose, like you were when you first started your journey as a medical student. It looks like practicing for as long as you want to instead of feeling like you can’t wait to retire. It looks like that new discovery in the lab, the new idea for a clinical trial, the energy to pursue a new medical invention. It looks like a medical student being encouraged by their residents and attendings who are enthusiastic about sharing their love of medicine. It looks like physicians becoming more involved in the administration of healthcare organizations and involved in health policy so that we improve healthcare for all. It looks like collegiality, like being part of a profession that takes care of all of its own so that they can take care of others. There are ways to bridge the gap from physician burnout to physician wellness and well-being. First, as individuals we can learn to recognize the signs of burnout and seek help from colleagues, your EAP, a counselor or therapist, or a physician coach. We also need to be looking for the signs and symptoms of burnout in each other and offer support. Second, as organizations we can adopt improved workflows, education, and support to prevent physician burnout and support physicians with burnout. Some great examples are given in the AMA STEPS Forward program. Last, but not least, we need to change the culture of medicine so that taking care of ourselves and each other becomes an integral part of being a physician. Together, we can bridge the gap from physician burnout to physician wellness and well-being. We can fully live our ethos to do no harm as physicians, starting with ourselves. 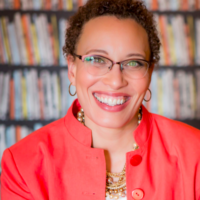 Check out our podcast episode with Dr. Dianne Ansari-Winn here! This article was originally published in Doximity and can be found here: First Do No Harm. So Why Are We Harming Ourselves? Does the culture of medicine for profit contribute to burnout? How can this be addressed?